The YouthWorks online application period for Baltimore City youth (ages 14-21, as of June 28, 2019) was open from January 2, 2019 – March 1, 2019. If you applied, please check your email for information about next steps. YouthWorks connects thousands of young people between the ages of 14 and 21 to summer jobs with private, nonprofit, and city and state government employers throughout Baltimore. Participants work in a variety of industries, and gain basic workforce readiness and career-specific skills. Our partners include the City of Baltimore, State of Maryland, local employers, nonprofits, philanthropic contributors, the Baltimore City Foundation, and the Baltimore Workforce Development Board Youth Committee. Baltimore’s business community plays an important role by shaping the future workforce and getting great employees at the same time. The private sector, as well as government agencies, are encouraged to participate in 2019 by interviewing and hiring from a pool of trained, talented and seasoned YouthWorkers. Contact 410-396-JOBS (5627) or [email protected] for more information. Youth are screened for skills/interests to match your workplace needs. All youth receive job readiness training before being referred for interviews. YouthWorkers are paid at least the minimum wage of $10.10/hour for at least 120 hours. 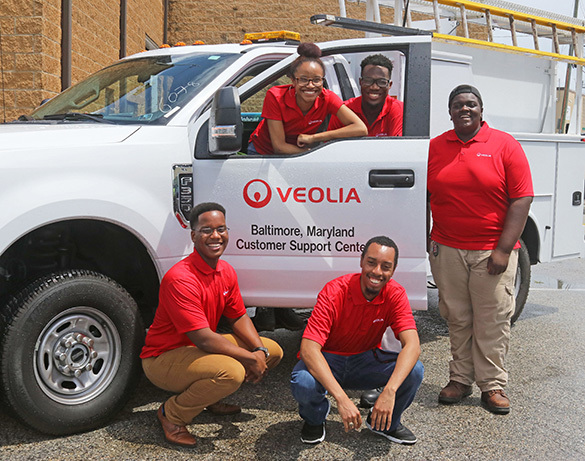 Companies can hire and pay the youth directly from their payroll or contribute to the Baltimore City Foundation and the City will be the employer-of-record and process payroll needs. A job coach is assigned to ensure the experience is beneficial for all parties. Non-profit organizations, community groups and government agencies that would like to serve as YouthWorks worksites can register. Please visit youthworks.oedworks.com to apply. Young people will be placed in summer jobs with your organization and you will provide supervision and mentoring. These positions are already funded. Contact 410-396-JOBS (5627) or [email protected] for more information. YouthWorks welcomes tax-deductible donations to pay the wages of youth placed at public sector worksites through the Baltimore City Foundation. Please visit baltimorecityfoundation.org and choose Mayor’s Office of Employment Development – YouthWorks 855-00 – to make your contribution. Checks can also be made payable to Baltimore City Foundation/YouthWorks and mailed to MOED, 101 W. 24th Street, Baltimore, MD 21218. Learn about exciting Baltimore Golf Week sponsorship opportunities to benefit YouthWorks thanks to our friends at the Baltimore Municipal Golf Corporation. February 25, 2019: More than 14,000 Baltimore City youth and young adults apply online for YouthWorks with deadline approaching. Read the press release. February 6, 2019: Director Jason Perkins-Cohen, YouthWorks employer Lauren Moeser from Howard Bank, and former Howard Bank YouthWorker Kayla Malone speak to the benefits of Baltimore City's summer jobs program on WYPR's Life in the Balance. Click here to listen. View this PowerPoint presentation to learn more about the success of the YouthWorks 2018 program. The Baltimore City Foundation is a 501(c)(3) nonprofit organization – donations to which are tax deductible to the fullest extent allowed by law. A copy of their current financial statement is available upon written request at 7 E. Redwood St., 9th Floor, Baltimore, MD 21202. Documents submitted to the State of Maryland under the Maryland Charitable Solicitations Act are available from the Office of the Secretary of State for the cost of copying and postage.